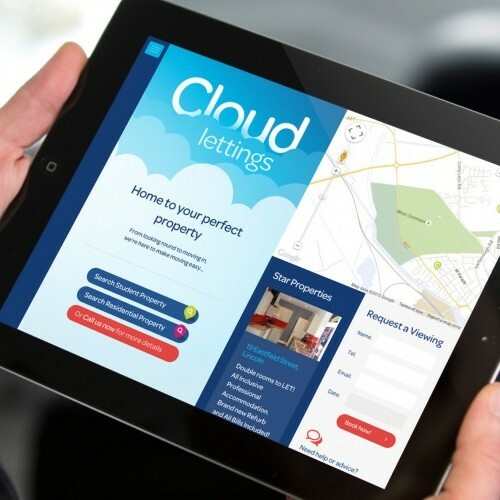 They didn’t want a standard website, so we pitched an innovative grid system that would make sure Cloud stood out from the crowd of other local lettings agency. Designed on a fluid twelve column grid it’s unique multiple column layouts gives users a brilliant experience be it on a large display or mobile device. With the type of end user being students we were very aware that screen resolution could vary dramatically – from media students using high-resolution monitors to students on the move using phones and tablets, the website works fantastically on all screen sizes. 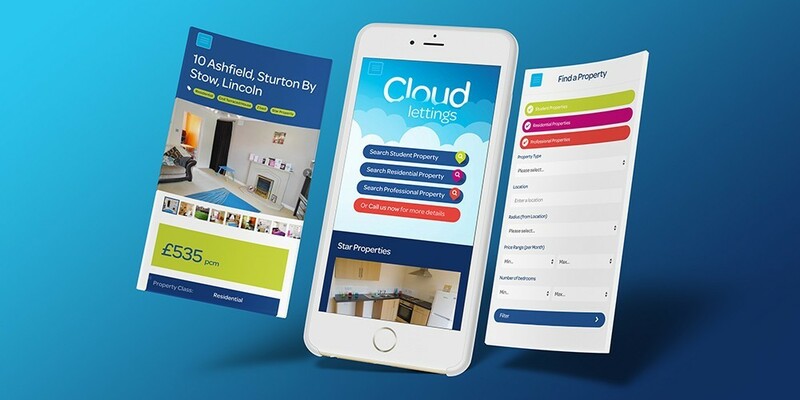 Cloud Lettings uses a 3rd party solution to list it’s properties, as part of the new site we were commissioned to set up a data import of these properties. A regular import ensures that properties appear on the site swiftly with no additional work required by the client. The final part of their online strategy was to enable customers to pay invoices through the website. Partnering with WorldPay we implemented a simple payment method to securely handle customer invoices. From its unique multiple column and fluid layout to its automatic property feed the website works brilliantly for the end user and the client, so much so that Cloud Lettings secured a marketing package with the University of Lincoln Students’ Union and filled all of their properties before the new University Term.